To start the New Year we wanted to share with you something we are extremely proud of…we not only surpassed the “Half a Million Pound” mark raised, but we blew straight through it and sit at the total above. Not bad for a couple of working class guys with an idea fuelled desire to help others. As many of you know, we founded the charity in June 2011 with absolutely nothing, no famous namesake, no local popstars support and no start-up funds. Eve Merton’s family paid the entry fee for us to enter the 2011 Dragon Boat competition at the Doncaster Lakeside. The first year we worked hard for every single penny raised, tombola stalls at summer fairs, small scale events etc. all to achieve the £5,000 mark that enabled us to register with the Charity Commission. Since that moment we have grown with every year, we’ve put the time in to organise our own events, make our own connections and not rely on outside funding. To date with have raised the above monies without applying or receiving any government funding what so ever. We wanted to make a difference and were willing to put the hours in, alongside full time jobs of our own. Along the way we have attracted some amazing volunteers, some on the back of completed Dreams but all with the will to give up their time. They saw what we we’re trying to achieve and how important the Dreams were to so many local people. As we move into 2019 we have a Chairperson, 6 Trustees + Treasurer, 2 Founding members and around 18 repeating volunteers. 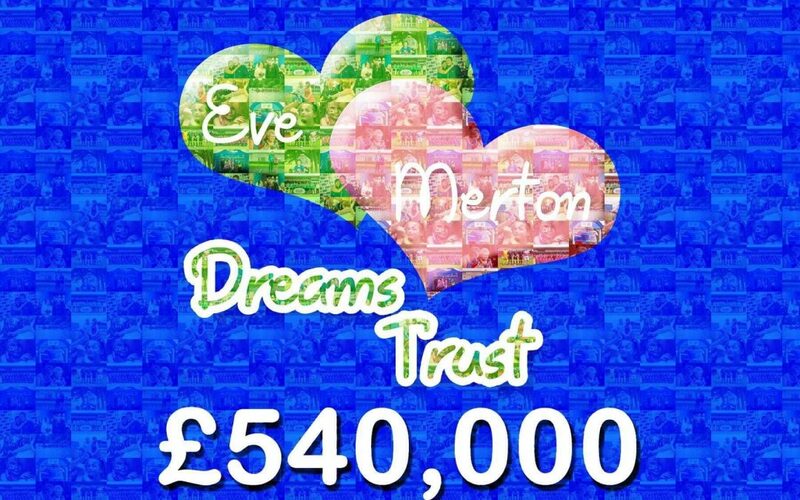 Only a small number of those people knew Eve Merton, but they all give their time to make a difference in her name. Eve would have been so proud of difference being made for local people, if not being embarrassed and uncomfortable with it bearing her name ha-ha, But, we do what we do to honour her memory, to use the grief of losing a mother and turn it into a positive for other local families experiencing the same difficulties she and her family did. In 2019, we will continue to work hard, raising funds and making connections, all for the sole purpose of helping local families during a time they need it the most, but are perhaps not comfortable asking for that help. The money raised above has helped 100’s of local families, to see the smiles we have seen has made every penny worthwhile, something we try to share with all of you. The support we have received has been incredible!! So from Martin, Clynton and the whole of the EvesTrust family, we wish you all a Happy New Year!